Found 5 file extension associations related to BlockSim and 5 file formats developed specifically for use with BlockSim. BlockSim provides a comprehensive platform for complete system reliability and maintainability analysis utilizing a reliability block diagram (RBD) or fault tree analysis (FTA) approach to obtain system results based on component data. 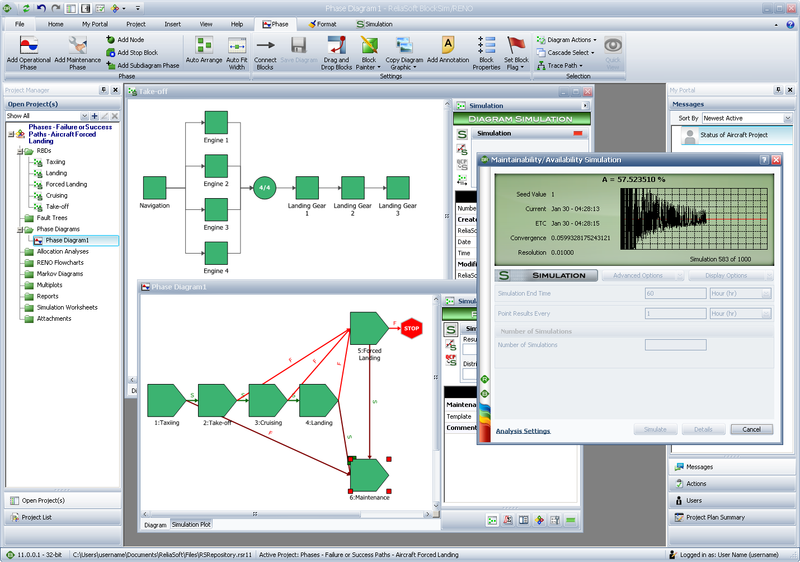 The software algebraically computes exact system reliability results for your block diagrams, performs optimum reliability allocations and provides a complex discrete event simulation engine for reliability, maintainability, availability, throughput and life cycle cost analyses. If you need more information please contact the developers of BlockSim (ReliaSoft Corporation), or check out their product website.